Amadeus GDS is the most popular Application Programming Interface (API) that allows travel solution providers access travel-related functionalities into any new or existing booking engine, Web site, travel agency front-office and corporate self-booking tool. For seamless Amadeus GDS API integration, Brainpulse is the ideal place. We are a leading Amadeus GDS development company offering best in class GDS development and integration for global travel management companies and travel agencies. Our expert developers integrate Amadeus GDS to access the inventory for flights, hotels, trains transfers and cruise through web services and XML. Get quick access to an effective and interactive reservation solution and manage your travel business like never before. Galileo GDS system, launched by TravelPort, is the most used and popular Global Distribution System for travel domain. For travel industry, Galileo GDS provides one stop travel service execution tools including computer reservation software, top of the line travel system and web services XMLs. B2B and B2C travel software developed around Galileo Distribution System are now multiplying business revenue of the travel management companies. Our travel portals are a full-fledged web based online booking system which is developed by keeping in mind the growing business requirements of travel management companies, destination management companies, travel aggregators, B2B B2C travel agencies, tour operators and home based travel agents. We are the one stop shop for travel website development and travel booking software APIs. Our advanced hotel booking engine is integrated with advanced XML and APIs. The software helps customers search for the premium and budget hotels lowest tariffs available across the global destinations. Once selection completes, the system takes customer through payment gateway for payment processing based on the accommodation chosen. 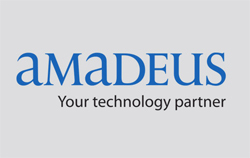 Amadeus Web Services is an API (Application Programming Interface) which is integrated to individual web applications and travel portals to enable them access Amadeus functionalities via SOAP/XML messages. Amadeus web services enable travel management companies / travel agencies and online travel booking systems to get connected with Amadeus travel inventory. With systems and software solutions to simplify travel management, Amadeus provides complete IT enabled services for the Global travel and tourism industry. Relevant and customized travel management solutions to save cost and generate more revenues. Where Amadeus GDS Is Used? Galileo GDS enables access to the database of multiple travel entities through web services APIs and desktop connection. Best suited solution ever to fetch data from worldwide low cost air carriers, high speed rail providers and multi-source content via a single API. Brainpulse is a leading web development company with profound experience and expertise in Amadeus consulting, development and integration for B2B & B2C travel management companies. Our industry-leading Amadeus software tailored to specific travel needs for Air, Hotels, Cars, Insurance & Rail. Still have queries to get answered? Drop us a mail or make us a call. Our business development executive will explain you about our Amadeus GDS Development and Integration plans in detail.